I'm having a hard time trying to figure out how to draw a large flow chart that spans multiple pages when printing. Using the built in "Pages" is useless to me because I can't have connectors that span across pages. 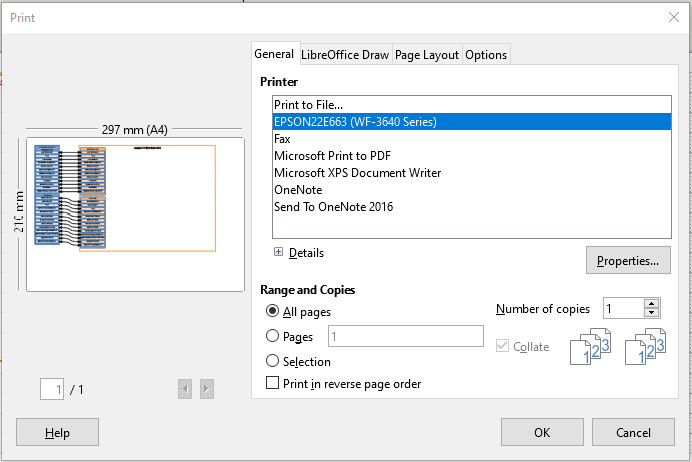 Therefore, my "solution" is to create a single page that is a multiple of an A4 page size, so that it should just print across multiple pages. 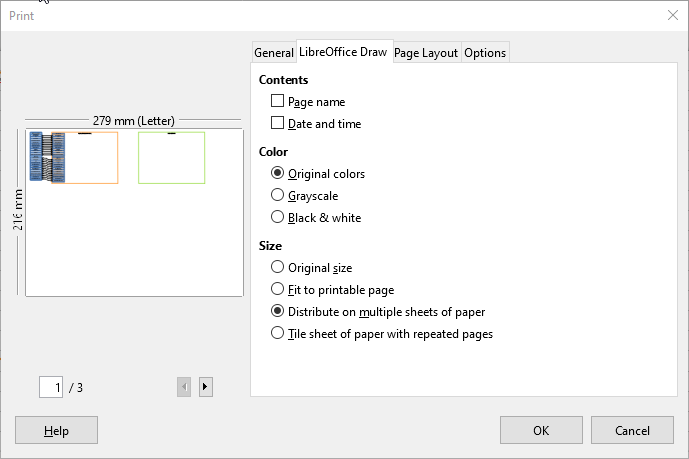 Make the page as large as you need to place all the drawings. 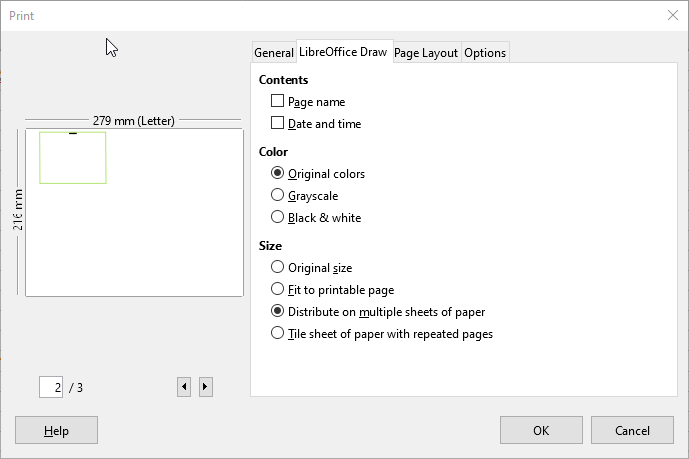 Export the document to pdf and then use the "Poster" feature of Acrobat Reader. There you can set over lap and turn on crop marks. That is much less stressful than trying to make a poster print with LibreOffice.